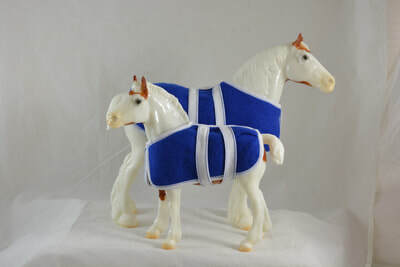 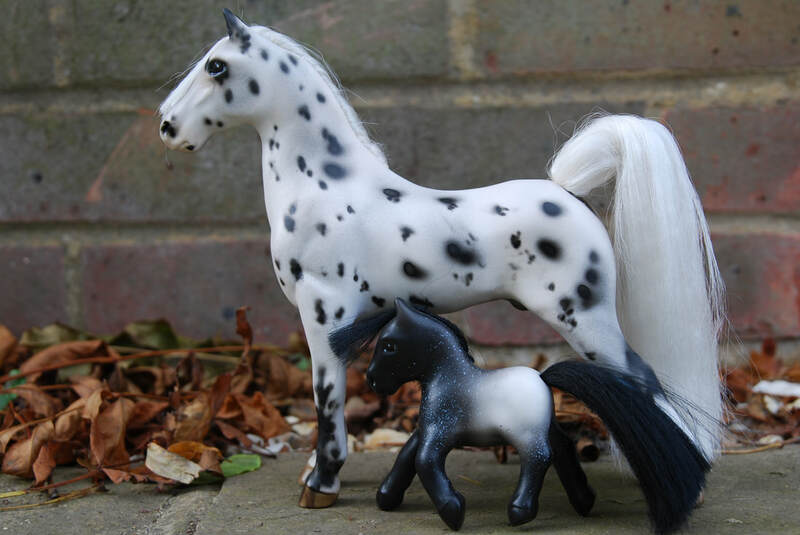 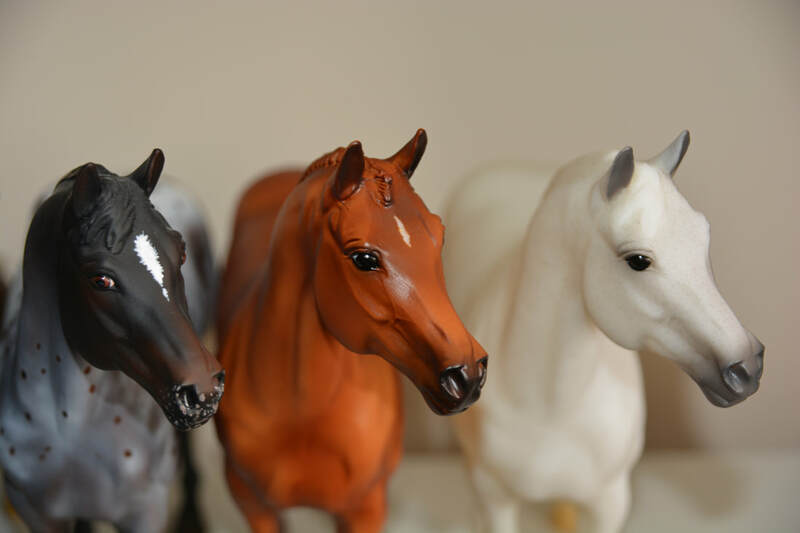 Welcome to our model horse size comparison gallery. 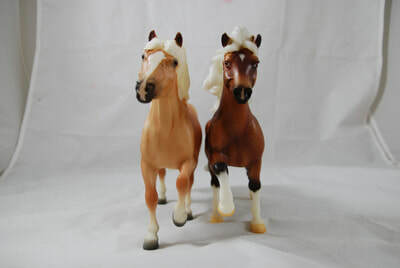 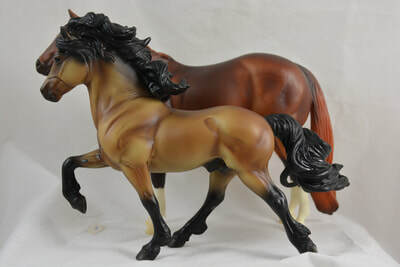 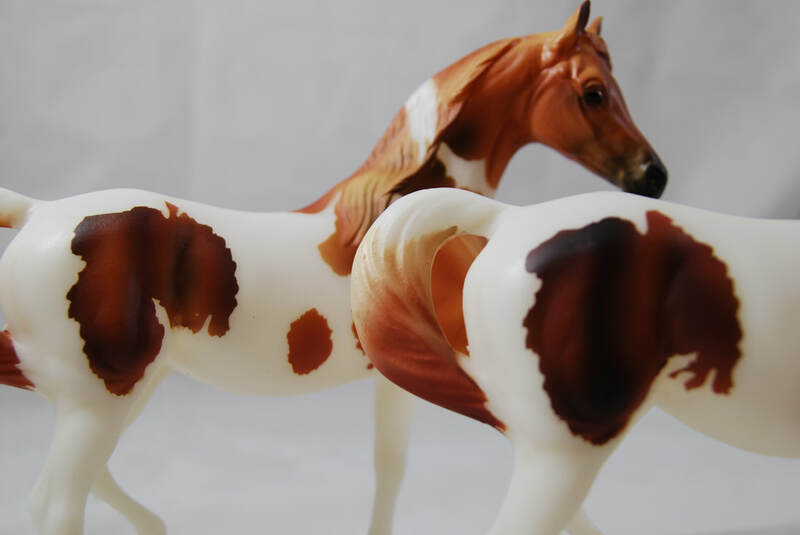 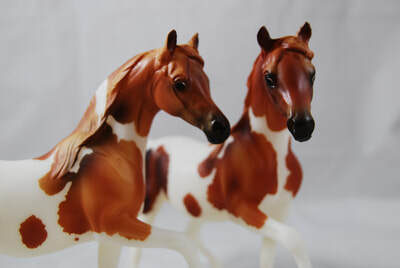 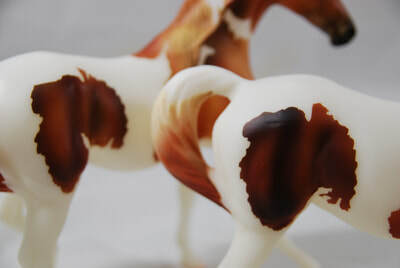 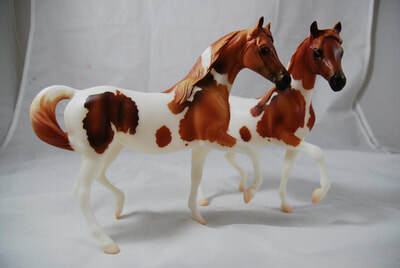 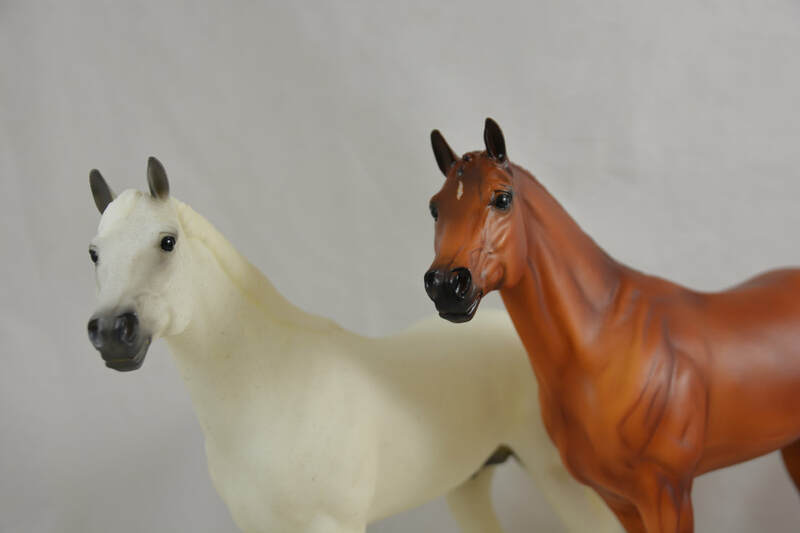 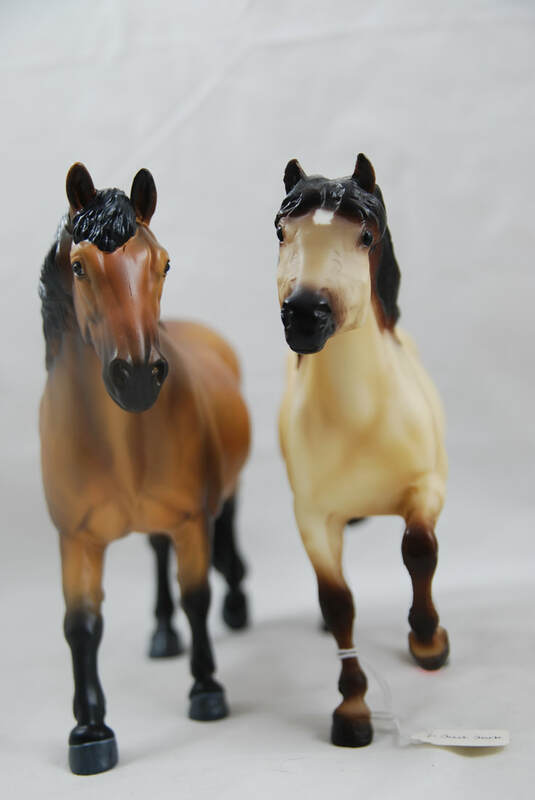 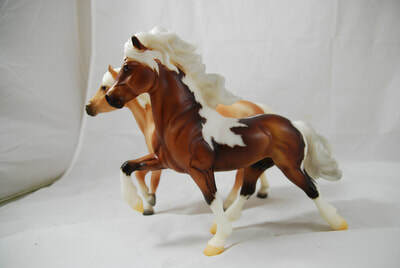 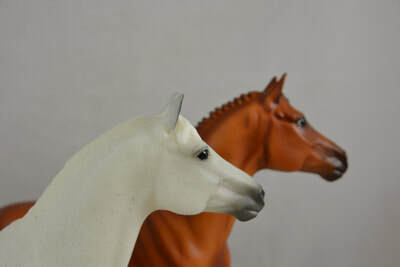 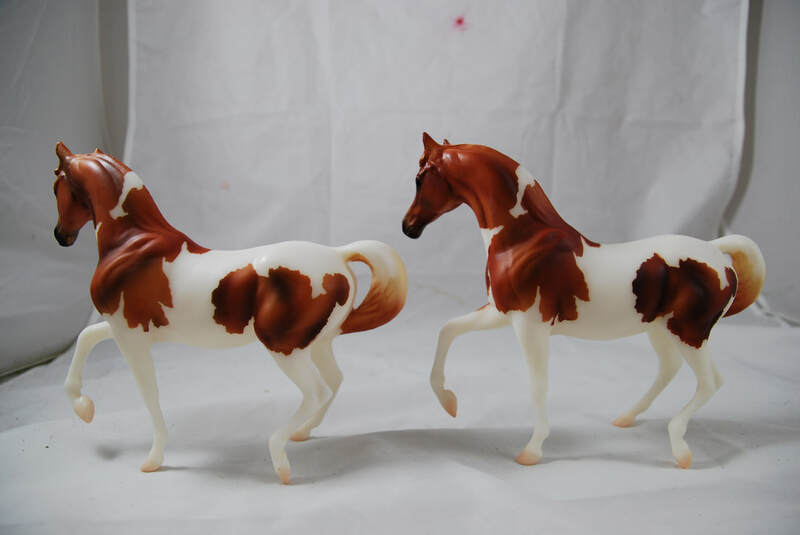 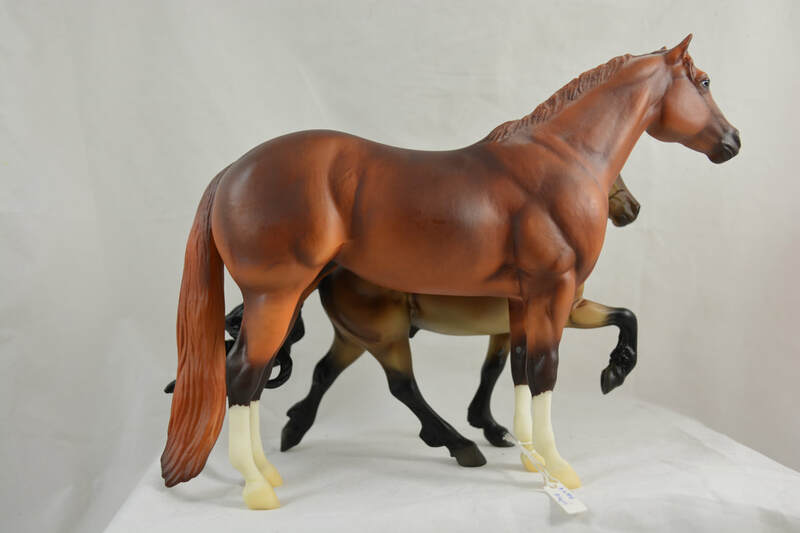 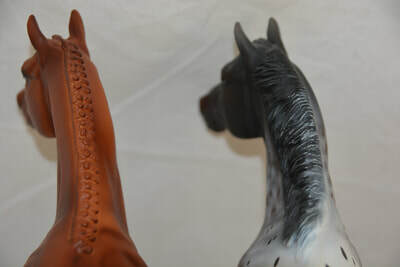 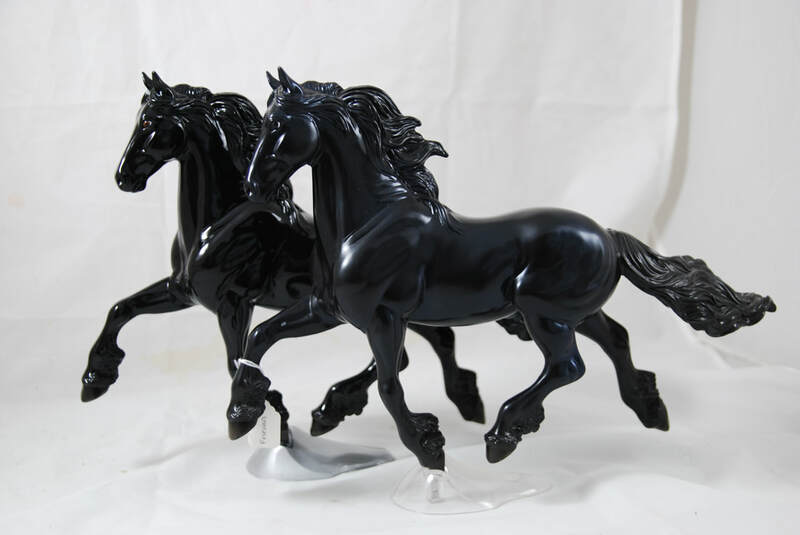 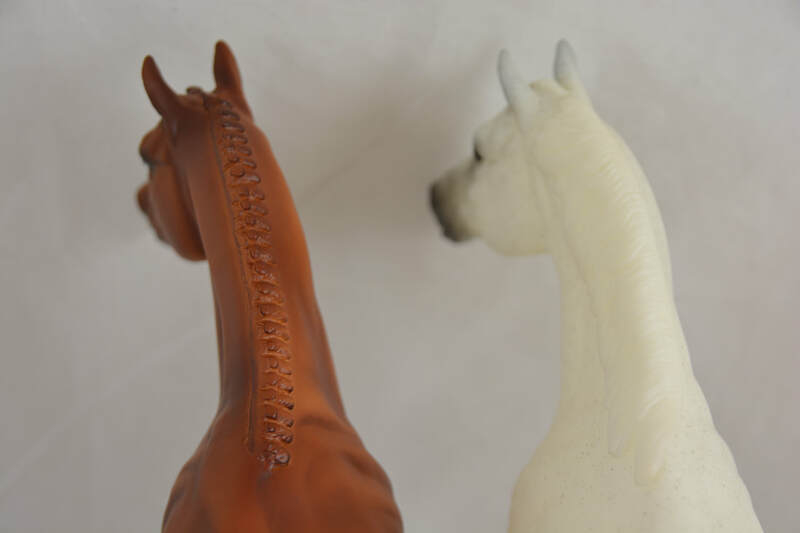 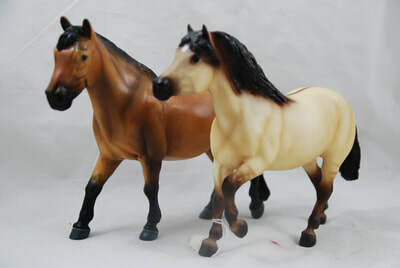 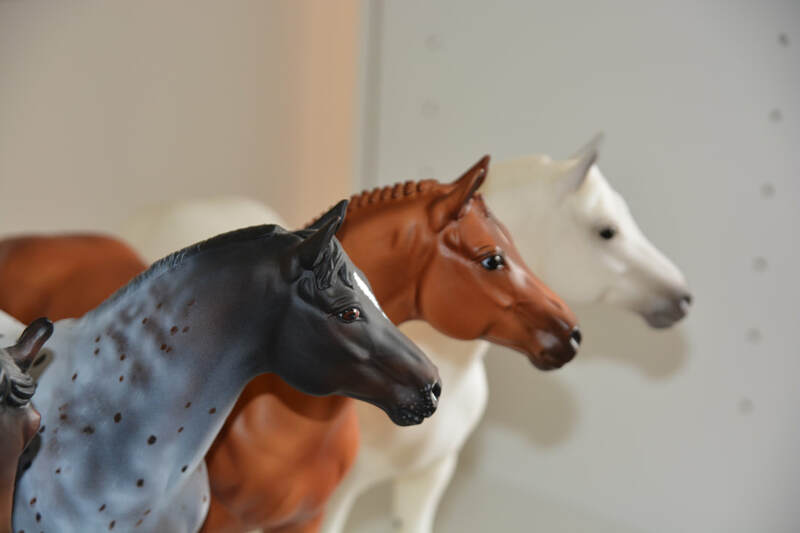 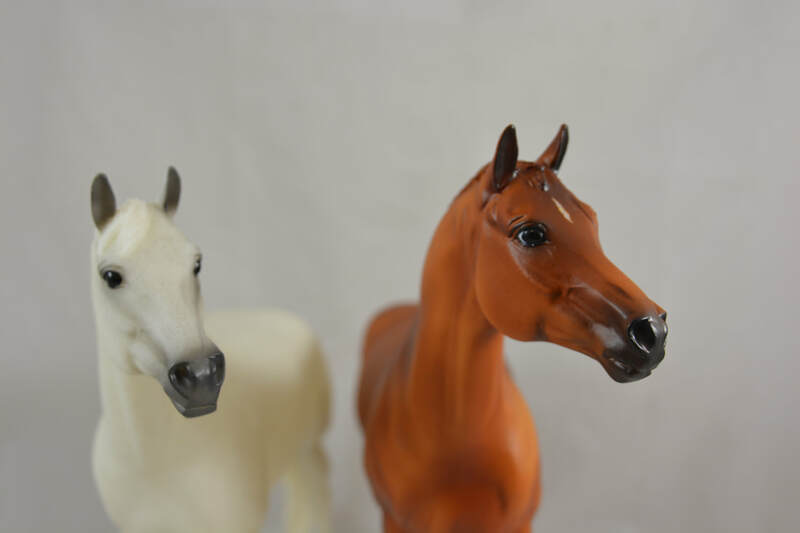 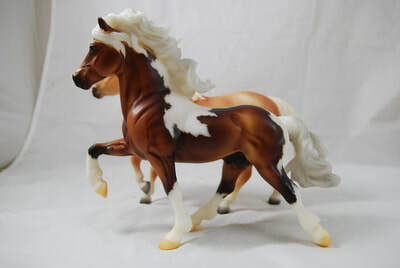 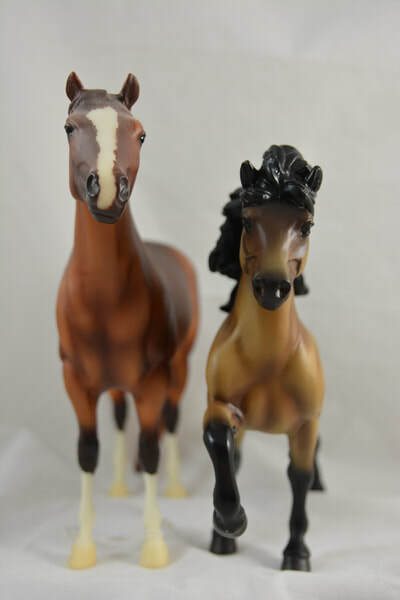 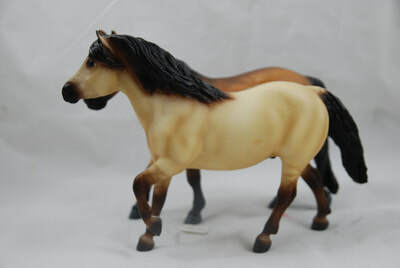 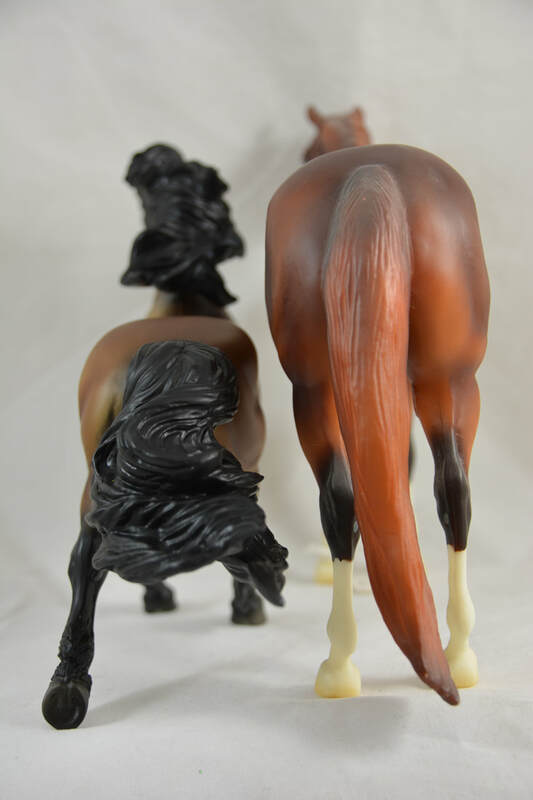 As well as size comparisons this gallery also features a variety of other model comparison pictures that have been requested, from variations in colours to new manes and tails on moulds. You are always more than welcome to request such a picture. 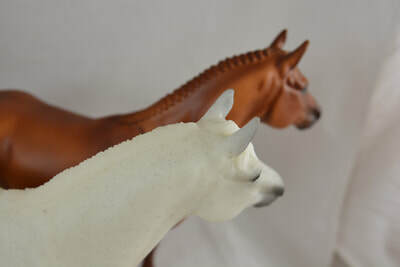 As long as I have the models I will also try my best to accept any requests. 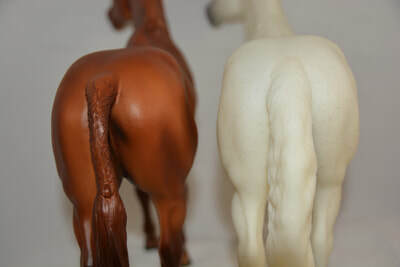 I also occasionally add my own comparison when I think they are worthwhile doing, sometimes they just happen by chance! 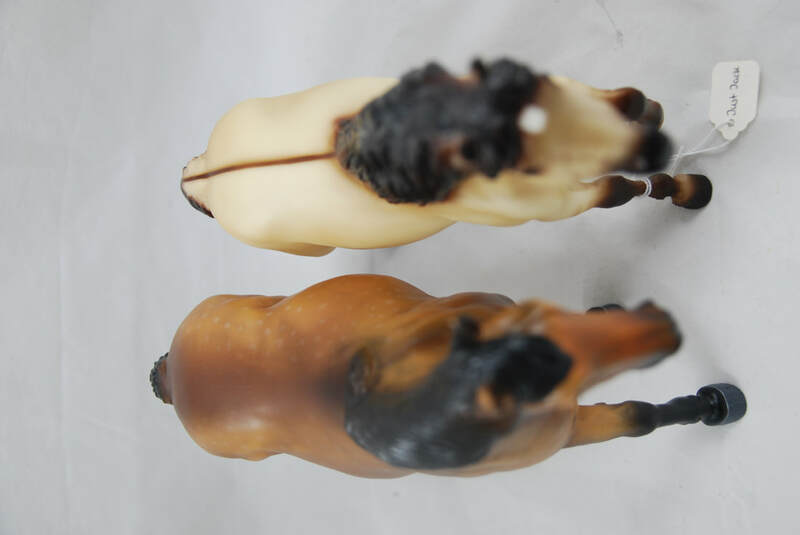 But it is always interesting and helpful to see how different models compare. 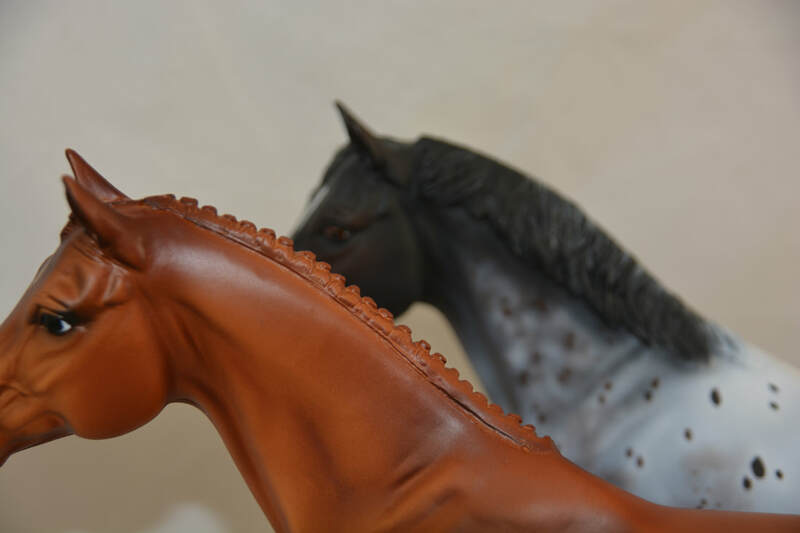 There are currently no pending requests, why not send one in?